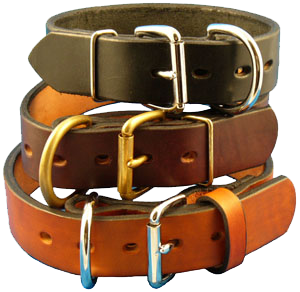 We used a single layer quality leather. 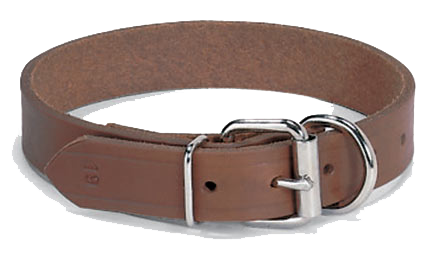 Available in burgundy, brown or black 1" widths. Small fits 14" - 18" Large fits 18" - 24"